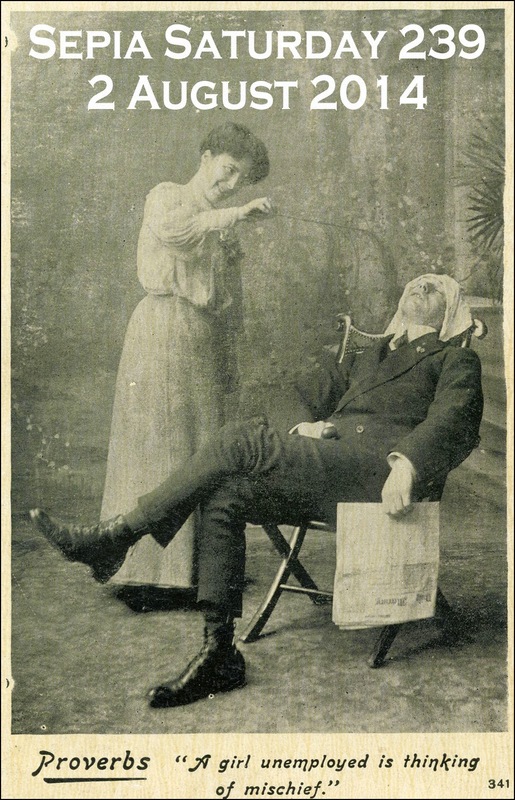 Our theme image this week is a 1906 picture postcard which has the provocative caption "Proverbs : A girl unemployed is thinking of mischief". There are all sorts of directions you can take this theme in : there are postcards themselves, there are proverbs and there are men falling fast asleep whilst reading their newspapers. You can wander down the path that leads to the assumption that Edwardian women had little to do other than maintain a home, raise the children, and probably take in washing as well. Or you can always explore the fact that within ten years of this picture being published, women were maintaining the basic industries of many of the leading industrial nations. Whichever direction you take, simply post your post on or around Saturday 2 August 2014 and link it to the list below. And whilst we are talking about housekeeping, I hope you will forgive me if I raise a Sepia Saturday housekeeping issue. This is not directed at established Sepians, people who know how Sepia Saturday works, but at people who are new to the Blog. We welcome contributions from people who have old and interesting images to share. 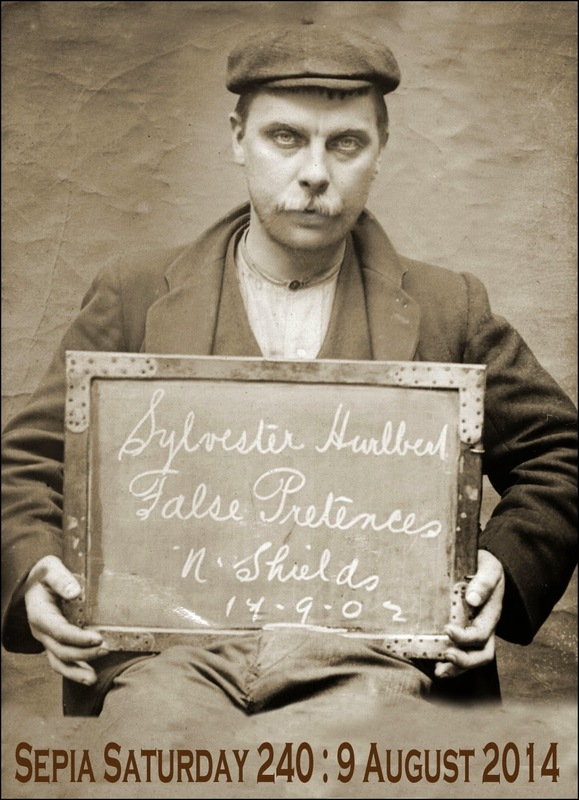 Whilst the definition of what is "old" is a fairly relaxed one - images certainly don't have to be in sepia! 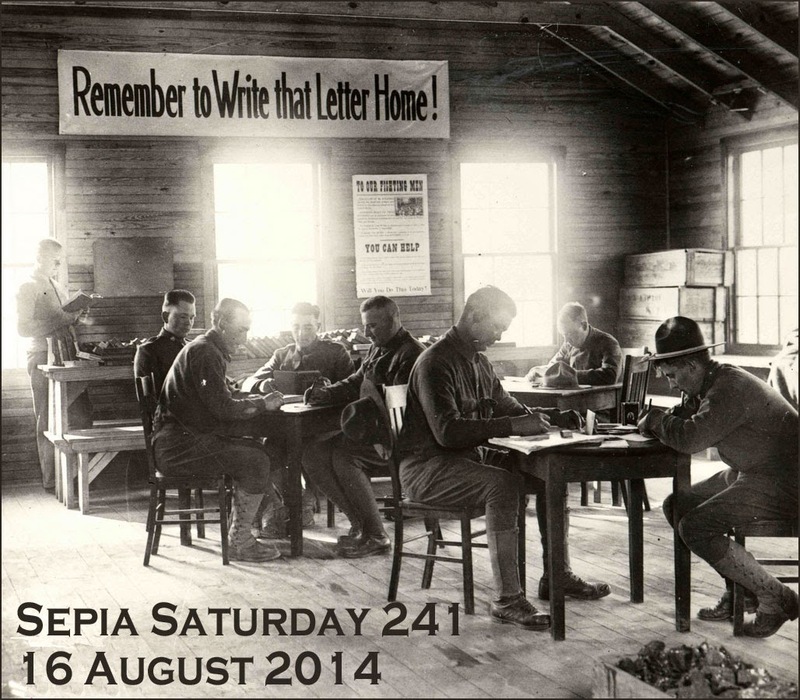 - Sepia Saturday is not a site for new photographs or artwork. The Sepia gatekeepers reserve the right to remove links which appear to them to be merely linking to totally unrelated blog contact. Back to this week. I want everyone working hard to get a good Sepia post; remember, a girl (or a boy) unemployed is thinking of mischief. If you would like a sign as to what to do for Sepia Saturday 238 - post your posts on or around Saturday 26th July 2014 - then look no further than this 1935 picture of Broome Street in Manhattan which comes from the Flickr Commons stream of the New York Public Library. If you want to be on theme, you can choose any type of sign you want, or any other visual clue you can find in the photograph. If you prefer to be off-theme, then that is entirely your choice : just post your post and then link it to the list below. Before you rush off and sign up for this week's Sepia Spectacular, take a look at what lies ahead in the weeks to come. Back to this week. It is a sign of the times - a sepia sign of the sepia times. Post your post and sign up now. I got so mesmerised by watching these ballet dancers that I almost forgot to put up this week's call. Thanks to Jo for pointing out the lack of a call and, as always, thanks to Marilyn for her "Alan!!!!!!" alert. But back to the dancers - and this rather nice 1909 photograph which features in the Flickr stream of the National Archives of Norway. 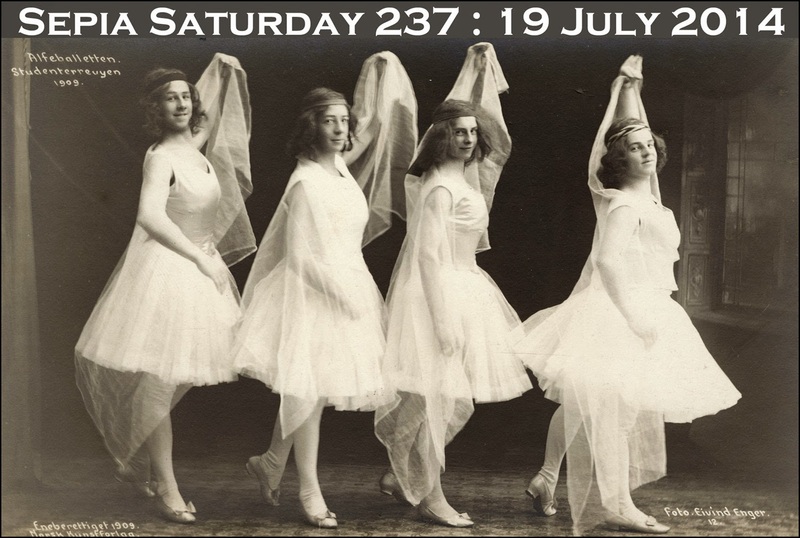 If you are of a theming disposition, you might want to go to the ballet, or the dancehall, or the theatre or anywhere you find lots of chiffon and over-dramatic poses. Whether you are theming or not, simple post your post on or around Saturday 19th July 2014 and add a link to the list below. Whilst the orchestra is playing the overture, you might want to look at the programme for the weeks ahead. Back in the Good Old Days/Bad Old Days (*) when you went to the Barbers/Hairdressers (*) you would have a short back and sides/full perm and manicure (*) in a dirty little back street shop/smart beauty salon (*). 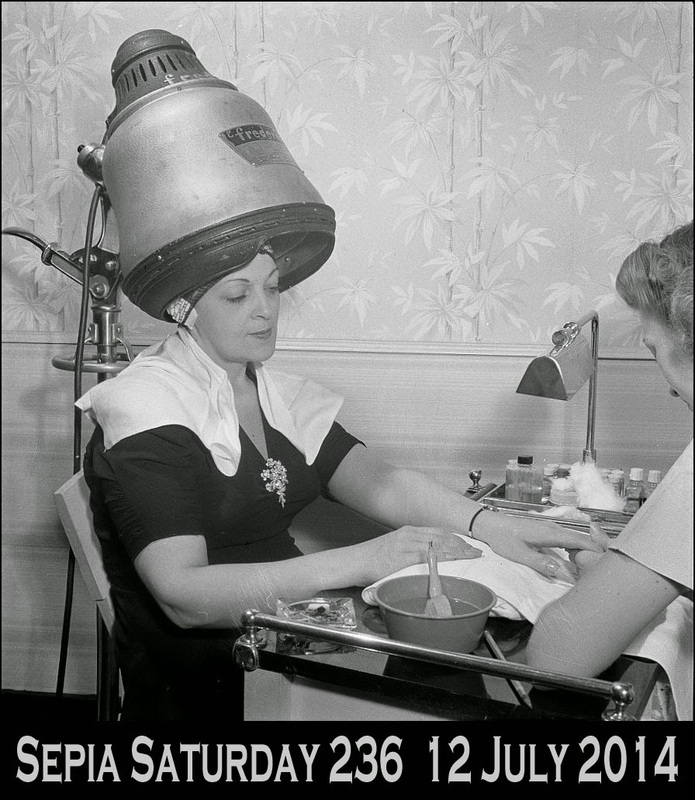 Our theme image for Sepia Saturday 236 - post your posts on or around the 12th July 2014 - shows a lady enjoying a manicure whilst her hair is under the dryer at a salon on Eighth Street, New York in 1942. The photograph is by Marjory Collins and is part of the Flickr Commons stream of the Library of Congress. As far as possible themes are concerned, there is hair/beauty/nails/hair dryers/strange headgear (*). Just post your post and then link it to the list below - beautifully simple. Whilst you are waiting for your hair to dry you might want to browse through what is available over the next couple of weeks. 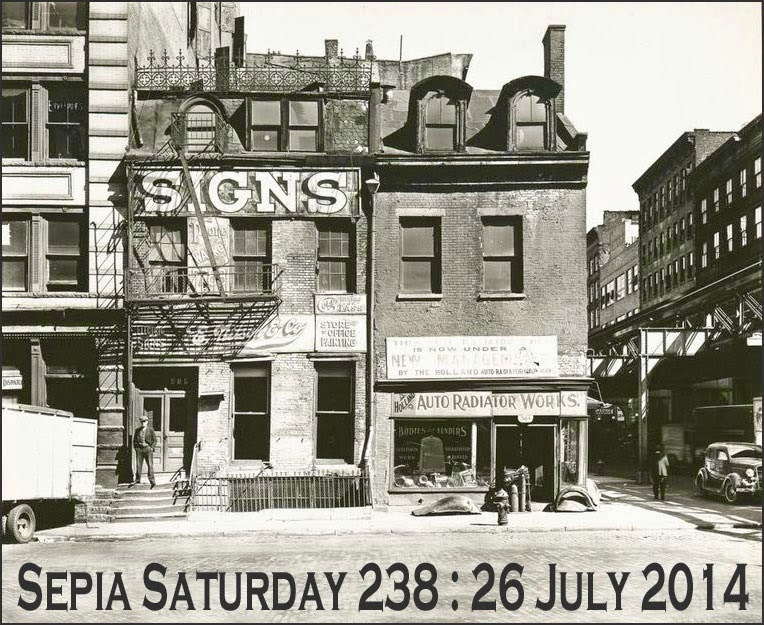 Now polish your nails/wave your hair/apply that sepia make-up (*) : it is time for Sepia Saturday 236.